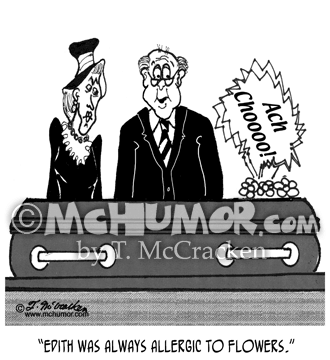 Allergy Cartoon 7047: Kids in a class are lying on the ground in chairs that have blown over after their teacher has sneezed. 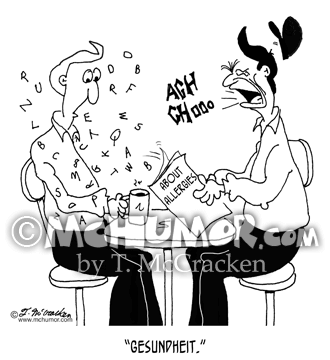 One says, "Gesundheit! 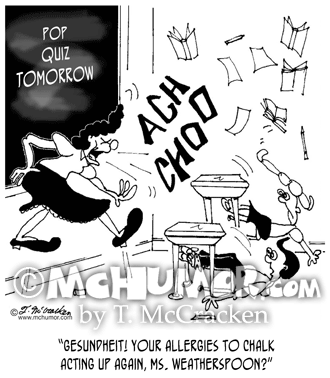 Your allergies to chalk acting up again, Ms Weatherspoon?" 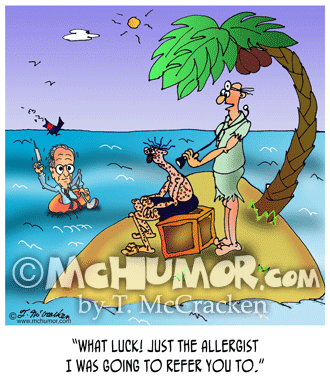 Allergy Cartoon 8951: A doctor on a desert island examining a patient with red spots sees another doctor in a raft and says, "What luck! 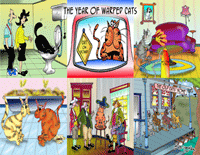 Just the allergist I was going to refer you to." 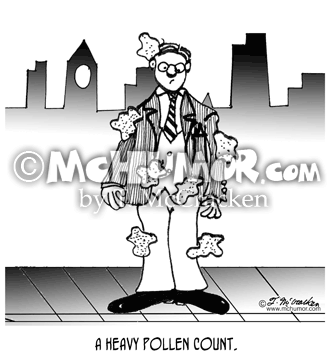 Allergy Cartoon 2766: "A heavy pollen count." 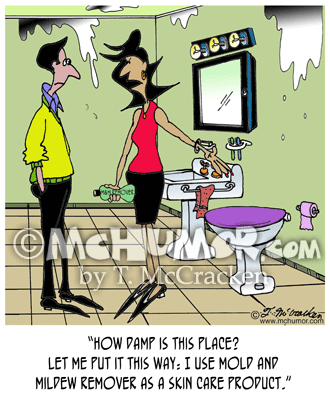 A man is covered with two foot balls of pollen. 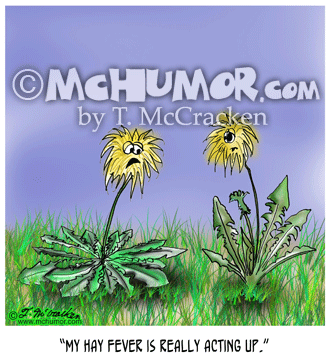 Weed Cartoon 8721: A sad weed says to another, "My hay fever is really acting up." 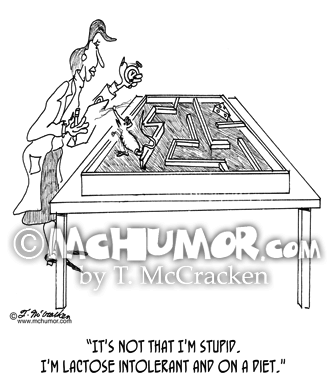 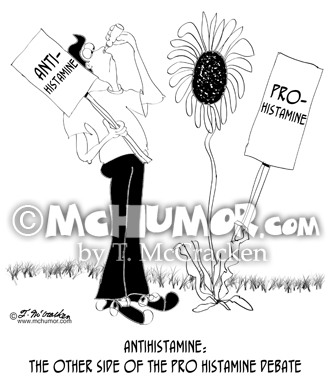 Allergy Cartoon 8870: Antihistamine: The other side of the pro histamine debate. 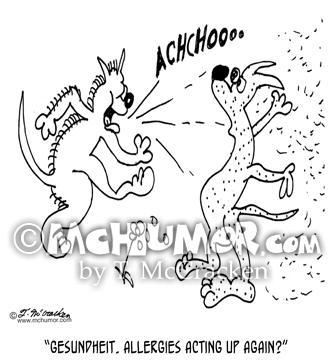 Allergy Cartoon 6979: When someone sneezes and blows all the letters off the book he's reading, "About Allergies," someone else says, "Gesundheit."